Wake Up Your Palette with Maxwell House MAX Boost Coffee - All good days start with a great cup of coffee. Get great flavor and your caffeine boost from our refreshing MAX Boost medium roast coffee. It'll get you up and moving with 1 3/4 times the caffeine of Arabica coffee, and like all Maxwell House coffees, it's Good to the Last Drop. 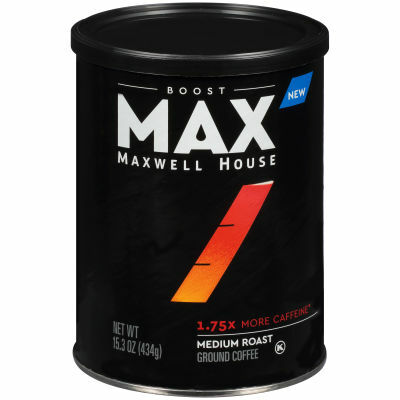 - Sip, Enjoy and Recharge - Maxwell House MAX Boost is a delicious, medium-roast coffee with distinctive accents. It has a smooth finish and excellent flavor. With this convenient canister, you can brew up this refreshing coffee at home for savoring or grabbing to go.